You're here » Home » Social Media Marketing » How much is a Facebook Fan Page worth? Have you ever wondered what your Facebook Fan Page was really worth to you? Check out this awesome new product from Vitrue. Just type in your Facebook Fan page and they’ll give you a dollar amount of what your page is currently worth and what it could be if you modified your post times, etc.. It also allows you to adjust what each fan is worth to you. 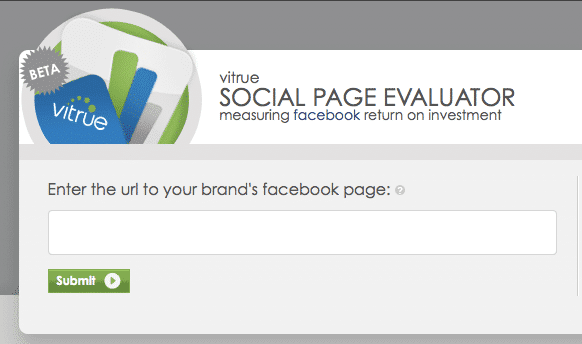 This is a great little tool that can help you envision the ROI on your Social Media investment. Headline: How much is a Facebook Fan Page worth?